The Verizon version will come with 4GB of RAM and 64GB storage (expandable). There will be a dual SIM version (hybrid slot). 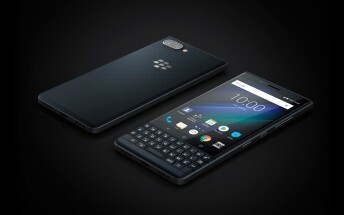 The KEY2 LE is built for business users as it focuses on productivity and privacy. The Locker feature helps you control what info is synced with the cloud and what is kept only on the phone. Firefox Focus enables privacy-focused browsing. The DTEK app continuously scans the phone to identify and mitigate potential risks. On the productivity side, there’s the BlackBerry Hub, which pools all messages – texts, emails, social network accounts and WhatsApp into one place. The phone also supports dual accounts, meaning you can keep your professional and personal Facebook, Instagram and WhatsApp accounts separate (though WhatsApp requires the dual SIM model for two accounts). Verizon will announce the pricing and launch date of the BlackBerry KEY2 LE later on.